I am posting 2 quick mid-week posts for jam recipes. During summer and early autum, I get busy making jam with seasonal fruits to stock up for cold winter. So far, the jam-making summer 2015 has been great! : Strawberry & Rose Petal Jam and Rhubarb & Strawberry Jam, Cherry & Brandy Jam, Blueberry & Lavender Jam, Apricot & Orange, Peach & Earl Grey Conserve, and Raspberry & Elderflower Jam. 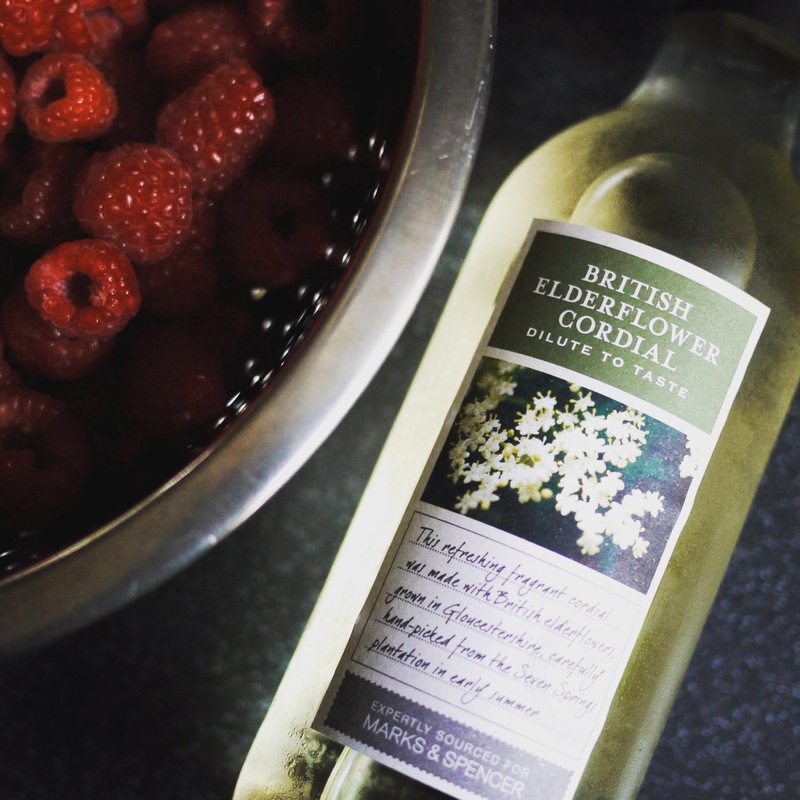 Here I present you a recipe for Raspberry & Elderflower Jam – perfect for preserving beautiful flavours of summer. 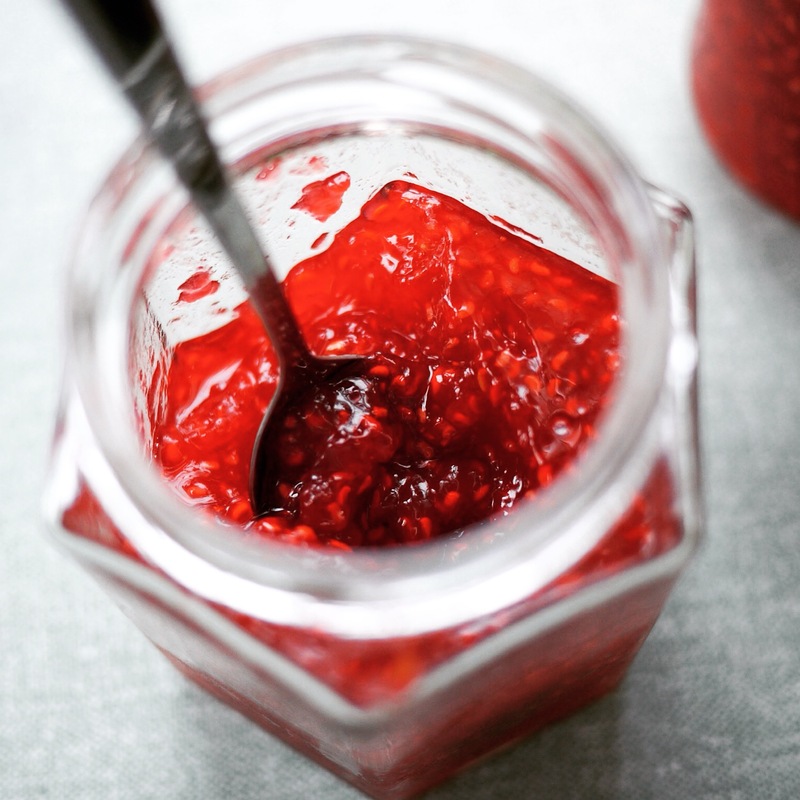 This jam is ideal as a topping on scones and a filling in cakes. Put a small saucer in the freezer. Place the raspberries, lemon juice and 150ml water in a large heavy-based saucepan. Bring to the boil, then simmer for 5-10 minutes over medium-low heat until the berries are soft. Add the sugar and stir until it dissolves. Turn up the heat and bring to the boil. When the jam reaches a rolling boil, cook for 15-20 minutes, or until the jam reaches the setting point, skimming off any excess scummy froth on the top using a spoon. To test for a set, take out the chilled saucer from the freezer. Put 1 tsp of boiling jam on it. Allow to cool, then push it from one side with your finger. If your finger leaves a trail on the plate and jam wrinkles slightly, it is set. Always remove the pan from the heat while you test for a set. Once it has passed the test, remove from the heat. Stir in the elderflower cordial. Ladle the jam into warm sterilised jars, filling the jars almost to the brim. Seal the jars with metal lids. Store in a cool, dark place, and refrigerate after opening. This jam keeps 6 months unopened. Wash jars and lids in hot soapy water, rinse and drain upside down, then put them in a cool oven (140C/Gas 1) for 15 minutes. 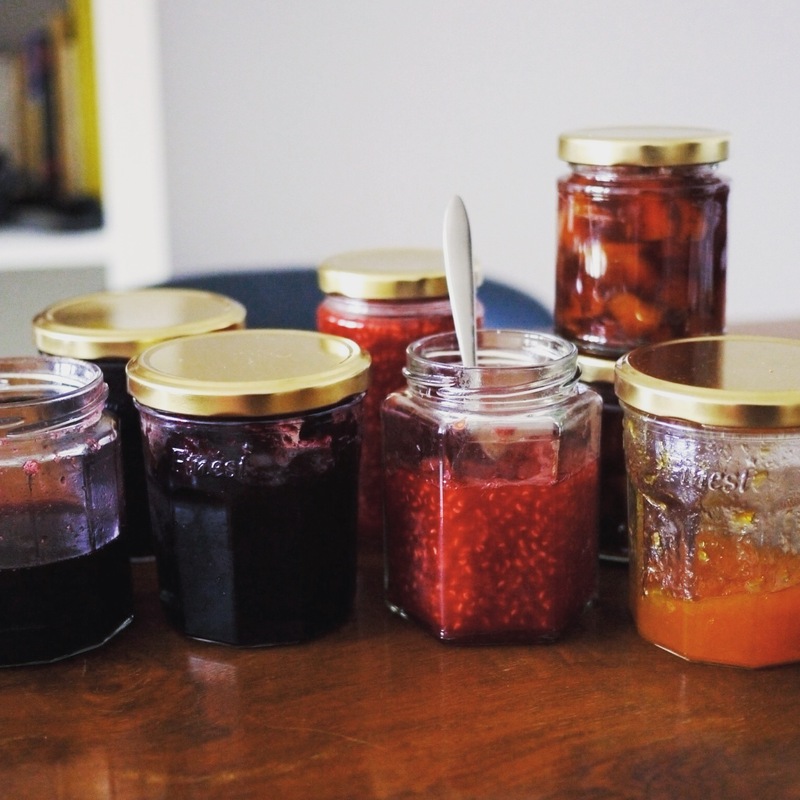 Preserving summer for winter – jam-making summer 2015 has been great! Looks amazing!! You have been a busy bee.